Jesus was born in Bethlehem of Judea in the days of Herod the king. 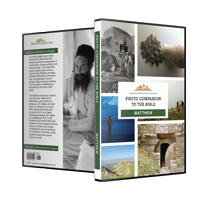 Magi from the east came to Jerusalem (Matthew 2:1). The route of the Magi is not given, but it is possible that their route from the east would have brought them through Jericho and up the Ascent of Adummim route to Jerusalem. 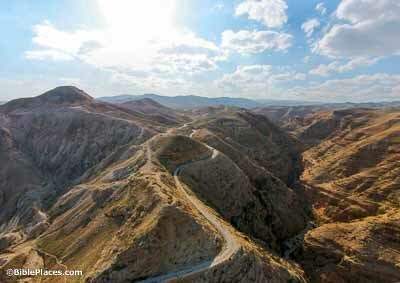 This was probably the route taken by Joseph and Mary on their way to Bethlehem from Galilee. And they, having heard the king, went their way. The star which they had seen in the east…stood over the place where the young Child was (Matthew 2:9). 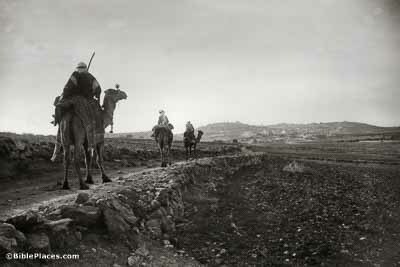 The Magi traveled six miles (10 km) south from Jerusalem to Bethlehem. Since some time had apparently passed (up to two years), and verse 11 mentions the “house” where Jesus’s family was staying, it is likely that they had moved from the place where Jesus was born. And they came into the house and saw the young Child with Mary His mother…They presented to Him gifts, gold and frankincense and myrrh (Matthew 2:11). 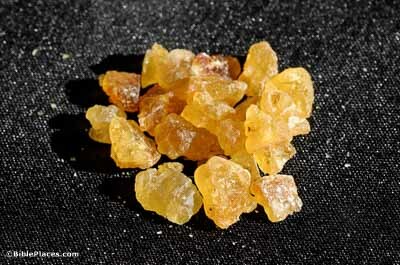 In the ancient world, myrrh was treasured as a valuable resin and used in many different applications. Scripture attests to several of these, including its functions as a perfume (Psalm 45:9) and an embalming spice (John 19:39). In fact, the very same child honored with this gift of myrrh would be buried in it a mere thirty years later. And he arose and took the young Child and His mother by night and departed to Egypt (Matthew 2:14). As they seem to have been a poor family, Joseph and Mary probably wouldn’t have sailed to Egypt. 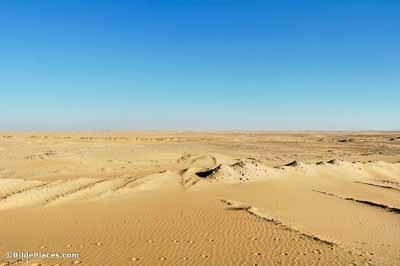 Instead, it’s likely that they joined a caravan and traveled on foot through the northern Sinai desert. As evidenced by this picture, the conditions would not have been pleasant. 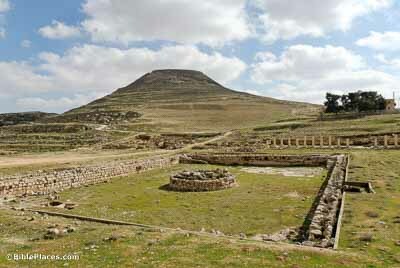 But when Herod was dead… (Matthew 2:19a) Herod, known for his construction projects, built this tumulus-like hill as a fortress and burial place. His tomb overlooks nearby Bethlehem, the place where, at the end of his life, he ordered the slaughter of probably a dozen or so young boys. 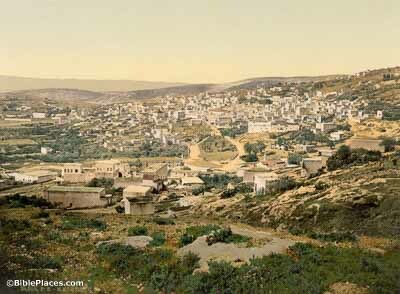 He dwelt in a city called Nazareth that what was spoken through the prophets might be fulfilled (Matthew 2:23a). Though modern Nazareth is much larger, in Jesus’s day the city likely held only a few hundred people, making him a veritable small town boy. This print from the late 1800’s is the closest we can get to seeing the city in its original scale.